Is Singapore the Utopian solution? by Dave from The Longest Way Home ~ March 28th, 2011. Updated on October 5th, 2013. 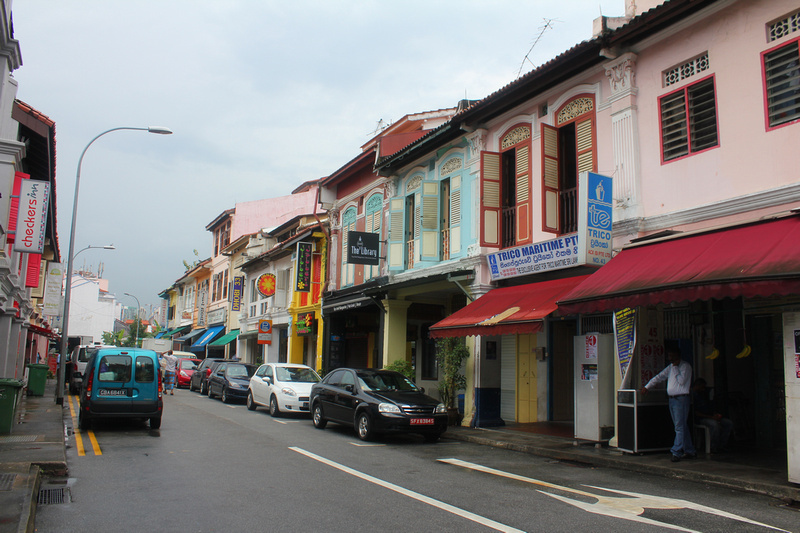 Published in: Travel blog » How to live overseas » Singapore. 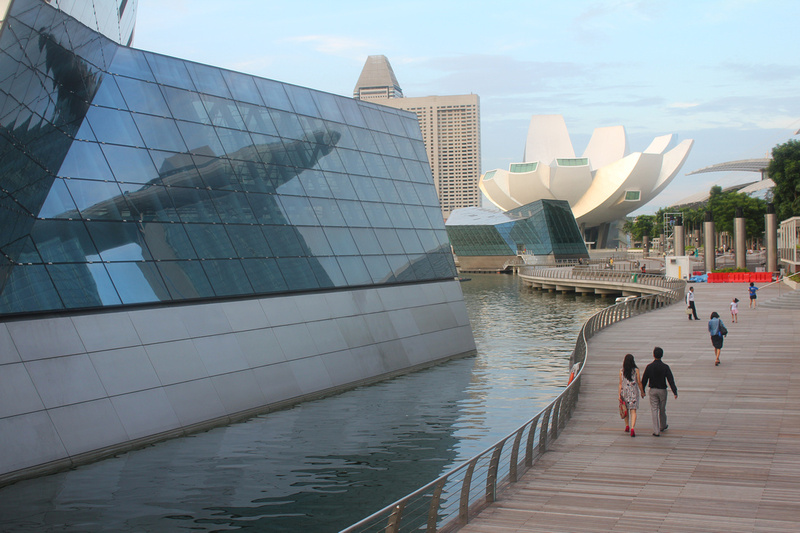 Is Singapore a Utopian vision of humanities future? An architects model city? Or is it Gattaca? There are very few people who would not agree that Singapore, as a city, works. In fact, it works incredibly well. Bar public WiFi that I’m sure someone from Singapore’s tourism ministry is going to look into right now (hint, hint). The strange thing about my above public WiFi statement is, it probably will get fixed very quickly if someone does read this from the government. That’s just how Singapore is, everything is meant to work perfectly. Why is Singapore so Efficient? Singapore is often seen as the poster child of successful urban and economic development. A parliamentary republic, Singapore has virtually no natural resources, nearly everything from water to electricity is imported. Over 40% of its population are foreigners, and its natural population is decreasing. Such negativity, yet Singapore is the world’s fastest growing Economy. It’s the world’s 4th largest exchange trading center. Virtually everyone has a job and has the ability to own incredibly expensive accommodation due to government incentives. Singapore has a huge interest in refining imported goods. As an example; Singapore imports water from Malaysia, processes it, and then sells it back. The reason why everything works so well in Singapore? The way the Government runs things. Singapore is vulnerable. With no natural resources it could easily collapse. But as a financier told me, it’s not going to happen. Why not? Take a look at how this country runs at street level. If you, even as a tourist, are caught with drugs, you can be put to death. If you speak out racially against another person, a canning. Cross the road illegally, S$50 fine. Eat on the MRT, S$500 fine. Litter on the streets and you will have to work in public service cleaning the roads wearing a special jacket. Vandalise anything, a canning. Sell fireworks or copied DVD’s, canning and jail. Get the picture? 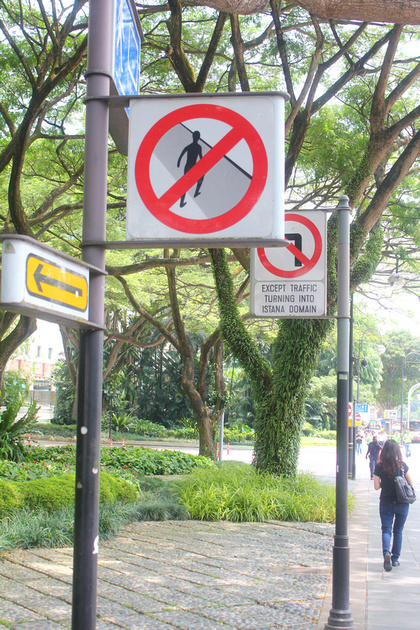 Don’t break the law in Singapore. There is a reason why locals joke that Singapore is a “Fine” country. Obey the law, do what you are told to do, and reap the rewards of a comfortable life. Crime is virtually non-existent in Singapore. And, strangely for such harsh rules that perhaps could easily be related to a dictatorship, Singaporeans, on the outside, seem very happy, and are very friendly. Just as a sub-note: the rumor that chewing gum is illegal in Singapore is incorrect. You can bring it in for personal consumption. You can even chew it in public. But, you cannot spit it out. Nor sell it, nor possess large quantities of it. I brought in two packs as personal consumption “gifts”, and was fine, not fined! I saw the proliferation of CCTV in the MRT in Singapore. I thought nothing of it really. 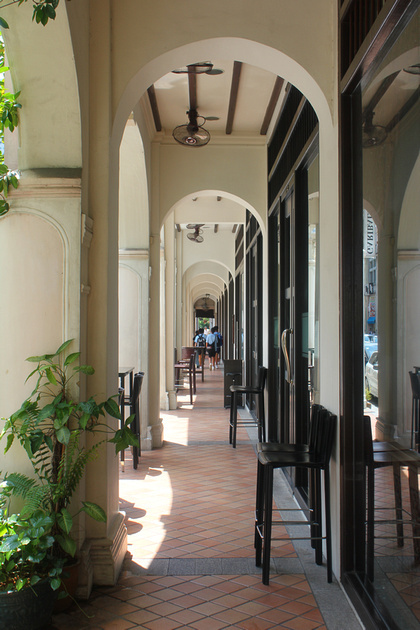 Likewise the shopping malls, and in hotels, hostels and well … just about everywhere. 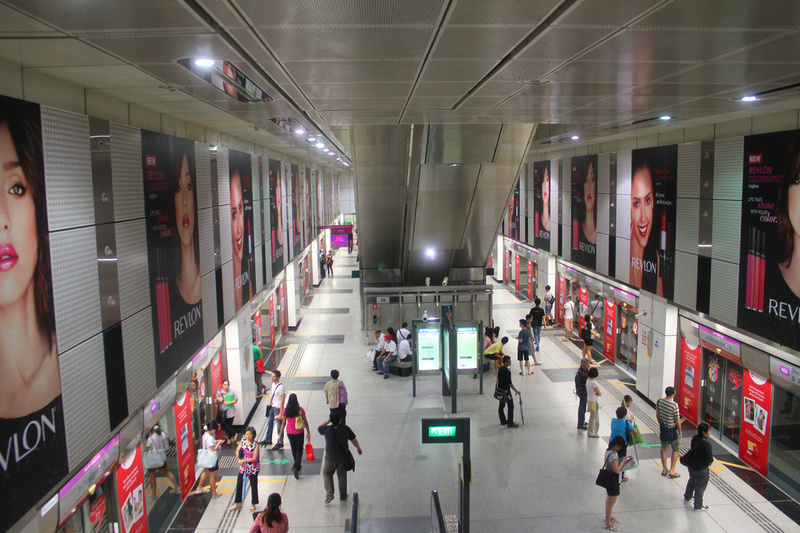 Then as I entered another MRT I stopped to watch people move by. Rows upon rows of medium paced queues walked by. Smart phones in hand people played games, talked on bluetooth headsets and waited patiently for a train to arrive on time. Arrows on the ground mark where you are to wait, and not cross over as people “Alight” from the train. And, people obey without question. They seem happy it all works so well. I took an escalator down to the MRT feeling quite happy with how everything was running. Then, it hit me. Huge wall to wall posters with a Hollywood actress endorsing a certain pink product. Not just one, but she was everywhere. And, as I neared the bottom of the escalator not one, but three CCTV cameras stared beady eyed at me. It was like a scene from Gattaca. I was walking through Orwell’s 1984 as a speaker droned out warnings of terrorist activity. Watch those around you, report anything suspicious. Singapore’s efficiency works but at what cost? I spoke to several Singaporeans about all of this. The answers were pretty much all the same. Head nodding, knowing smiles and a blunt reality. The only underlying issues I could detect were tiredness at the same old routine jobs day after day. I found these answers quite unsettling. Not in terms of Singapore, but in terms of human nature. No person wants to suffer. We all want to live long, enjoyable lives. We all like luxury whether we admit it or not. We want to be comfortable. How many people are tired of the constant fight? Tired of corrupt politics, locking your doors twice over, and different rules for the rich? Singapore’s government has found a near Utopian solution. It has created a society where everyone can be comfortable. And, enjoy their lives. So long as you obey the laws, work long hours and be productive. Disobey this, and you will be punished in more ways than one. Singapore is not perfect in many peoples eyes though. But, even they must surely admit, it’s a unique place. There is perhaps nowhere else on the planet that has a society like Singapore. The raw reality is, could you give up your small freedoms in life in exchange for no more worries in an efficient, safe and prosperous society? Hey there, it’s your friendly neighbourhood spell-checker…there is no “i” in Gattaca. I have the movie on my bookshelf. No need to post this comment — just thought you should know. I was in Singapore a few years ago, and really enjoyed reading your take on it! Thank Raymond, always happy to get a spell check tip, hard to get them all when traveling like this! I’ll make the correction. Glad you enjoyed the piece. Thanks again! Sir, I absolutely appreciate your profound take on Singapore. You’re not talking about all the pretty lights and fountains, or the really awesome time you had boozing it up. More people should see things beyond the surface. Bravo. I was in Singapore last month. It did feel strange being somewhere perfect. It seemed unnatural, unnerving. Personally I choose struggle and imperfection, not because I’m a masochist but because it encourages appreciation and simplicity. Hi Jen. Thanks for the kind words. I write as a I experience things. Which, is a little different than the average tourist going to visit a place to “enjoy” themselves, perhaps that is the real difference. There is indeed something a little unnatural about Singapore, yet strangely comforting for those looking for security in their lives. I’ve not stayed, nor experienced enough of Singapore to say whether it’s home or not. Practically, the chances of me getting a job there are very slim. Only after several months could I realistically tell if it could be a place to live or not. That said, no, I did not get a huge gut feeling telling me it was! Well, I will read your text later today. But, the answer to your headline question is a resounding N-O. Having read the book ‘Lee Kwan Yew the man and his ideas’ by Han Fook Kwang,Warren Fernandez and Sumiko Tan, I was enthralled that someone could not only sell his political ideals but make them work year on year. I think you have hit the reason for their success on the head when you said they plan ahead and plan for the long term not just tomorrow. But for all said and done the founder of modern day Singapore and his supporters were incorruptible and that was the foundation of their success. Maybe if some of the other countries in the world we live in were to take a leaf out of Singapore’s book life would be better for a lot more people. I will take a holiday there one day in the not too distant future to see the country for myself. Very interesting comment as always Jim. Yes, this incorruptible government could given lessons to other nations around the world. Doubt they would listen though. But as you said, taking a few pages out from their book could do a lot of good. I hope you get to visit and see this all in action soon. I always like how aptly you describe places and people even though you’ve only been there for a short period of time. I felt the same way during my brief visits there too, somewhat violated in a sense but yet, secured. It was a dilemma but ultimately, it did make me feel comfortable and at ease, walking around alone even in the middle of night. You just brought up a wonderful point. Violated but secured! I might have to use that one in future ;) But, yes, this is Singapore. Very safe, very easy, but with an interesting price! Well, I live in Singapore and to me it was pretty clear that the author never spent much time here. The culture is different from both Europe and the US in some ways, and similar in others. If you don’t actually spend significant time here, you’ll miss all the nuances. I’d say that about half the article was correct. The other half ranged from mildly incorrect to outright wrong. I saw this on Google+ where you also made a similar comment. So I’ll simply state the same reply: “There are many ways to look at a life in Singapore or anywhere else. Everyone will have an opinion based on their own experiences, beliefs and first hand knowledge. Just as my views are based on my own. Some will agree, some will not. In 8 years around the world I can however state that there is a vast difference in a locals perspective, tourists perspective, expats perspective etc and all the sub-divisions therein. Much like the old adage of always ask a random local where a good place to eat is. Truth be told this only works if you like the same food. Moreover a stranger proud of their country will likely send you to a “safe” place to eat rather than run the risk of sending you to the local hawker stall which they might think will “shock” the tourist. Ditto asking a local what they think of their government. Some will be outspoken, others will stand up in defense of their nation. Ditto expats living the “expat” life. A lifestyle far removed from the person earning a living working in a diplomats job and someone scrapping a living working in a hawker stall. You’ll never get the same answer. Nor an answer someone living in another “bracket” will be completely satisfied with. One can live in a place for a day and know it’s not for you. Or live in a place for 3 years trying to fit in, only to never be accepted. There are too many individual, cultural and bureaucratic variables to make it a precise definition for others to relate to. However there are many stated facts one can make an opinion on. Those were mine, at that time. My overall impression of Singapore was a positive one. In terms of “big brother” it was indeed negative. In terms of politicians being held accountable it seemed a lot stricter than “western” counterparts. In a follow-up article I believe that I wrote I could live in Singapore, back in a corporate job, for 2-3 years. As I’ve done elsewhere. In that sense Singapore would be ideal. A little humid, but I wouldn’t notice in my office. But I don’t want this. I see what’s happening in other parts of the world in terms of Orwellian destiny’s and it’s truly frightening. Coupled with many of the comments here. It’s clear that I’m not the only one who feels this way about Singapore. I find Singapore clinical and .. bleh. Undeniably, it’s a great transport hub – it’s location is second to none (and history has demonstrated this). But it’s just not my cup of tea. No, I don’t think it’s an ideal society either. Due to human nature I don’t think there every can be one, unless forced upon a population. I don’t think Singapore is at that stage … yet :) And, strangely, I think the west is going down that route a lot fast. But, without the efficiency! It is indeed a shiny, safe, sanitized shopping mall of an island-city-state & when I visited it in 2001, on route from Sri Lanka to East Timor, I was there solely to buy a new Sony Vaio laptop; that was MRP the consumer. MRP the rebel, also stopped by – but to piss late at night publicly, on a garden/grass verge in Orchard Street – to simply, say: Stick It Rules, I’m busting to pee. Well at least someone watered those gardens on Orchard road :) I was going to mention the “Adult” stores there too. I don’t quite get how so many of those stores made it next to those big designer stores along that road. Perhaps Singaporeans turn into something else behind closed doors to escape all that structure and tension. Singapore can best be described in two words: Deeply Superficial. Superficial in 2011. Many would say the West is too. I have traveled in more “totalitarian” countries as well as more “democratic ones,” and I must say without a doubt that harsh governments often make safe streets. I do not know if the trade off is worth it, and I cannot answer your question. But I do know that being able to walk down the streets of your own city without fear is a freedom in and of itself. Very good point about the lack of crime in totalitarian countries. Then again, there’s no opposition either. Yes, it’s a tough call, but one’s conscious can’t help but ask for freedom. I do however think a harsher line on petty crime the world over would be good thing. Public cannings would certainly stop a lot of things. That said, the same should happen for political crime, and financial. Again, the levels will drop substantially. Totalitarian regime have clean streets so that foreign investors feel comfortable bringing their money inside. It is indeed a financial magnet. A scary place in that regard. But, again, it seems to work. I am a Singaporean. For those of you who follow the old TV series “Charmed”, its very much like season 7 of Charmed when the Avatars created Utopia, with the Charmed ones’ help. In that Utopia, every one is in peace and is happy. However, anyone who threatens that peace will be forcefully removed from existence. In the end, our three witches rejected this Utopia and wanted their old world back, “with warts and all”. Nice example Kelvin. I don’t think I have seen charmed, but I have seen and read of other similar examples. Humanity needs some warts to survive. Anything too clinical and we die out in body and mind. Escorted away for your Re-Education… I got a laugh out of that one Dave. You’re right, Singapore it is very 1984ish. What blows me away is that the whole country was not much more than rice paddies only 60-70 years ago. What they have achieved in this time frame is phenomenal. Not sure if it would be defined as Utopian in my world, but I do enjoy getting to places like Singapore after being on the road for a while and in need of some creature comforts. It’s been many years since I was last there, and the one thing I remember mostly is how bloody hot it was! Interesting take on my country. Most of us like it the way it is, with as few warts as possible. Especially those of us with children. When we want to get some “warts”, it’s a very short budget flight or a quick bus ride away. Having said that, life is not all that rosy here. We struggle to make it as everyone does around the world. And yes, there IS an underbelly. Hard for the sort visitor know much of that part. And well under control. That’s the way we like it. Interesting insider comment there Art. Good to hear there is an underbelly, and strange to hear that it is under control. Very much like Singapore as a whole. I almost moved to Singapore last year for a job opportunity and while doing research found out that you need to get a license to access TV and Radio as a tenant. I thought it was too much but then again my theory is that all the rules and policies they have in place serve as an exercise in compliance. I met a Pinay in Singapore, she was working in a hostel. I wouldn’t say she was truly having a great time as it was her first time out of The Philippines. But, she was blown away by the cleanliness of everything, and the food. Perhaps just a good internet connection would help you get TV and Radio there? Your article on Singapore is very interesting and in-depth, it gives me (and us Singaporeans) an idea of how people from the outside are viewing us. It’s definitely not perfect, efficient enough though till sometimes the routine of boredom and routine rat race chasing, just zap me high and dry. Is it Utopian? Maybe all of us out there is searching for something Utopian, searching for that utopian location in the world. I sometimes ask myself, is there such a utopian location after all ? Over the years, living in Queensland, Australia for 4 years of Uni education, gave me an insight into living overseas. Sometimes, a common saying “The grass looks greener on the other side”, it’s true to a certain extent. The living overseas also given me the time to appreciate the good and bad list of things, back in my home country Singapore. There is no place perfect while all of us are seeking something perfect, somewhere utopian ? Appreciate your sharing here on Utopian solution! Thanks for sharing! Some great words from you JH. and I appreciate the feedback. Indeed, there is no place that is perfect for everyone. Including Singapore. However I do think many other governments could follow some of the traits that have made Singapore what it is today. Namely, the stamping out of political corruption. For this alone Singapore should be applauded. For other things, a more cautionary note perhaps. I’m a Malaysian living in Singapore, and after reading your posts on both Singapore and Malaysia, I’ve to say that you’ve nailed it on the head on the undercurrents in both countries. It’s amazing how you’re able to really ‘experience’ the culture in each place you visit! Glad to hear you like the KLCC post! hello! i stumbled upon your site from wearesolesisters.com, which a friend recommended to me. i love travelling as well, but i really admire how you try to understand a country more on a deeper level. let me just say how refreshing it is to read something about singapore that is not biased or touristy. i am a filipino working in singapore. i have lived here for more than a year and totally agree with you on the creepiness of CCTV’s everywhere! i was very conscious about it at first and does help you feel safe. i know it’s for security and everything, but one really can’t help but relate it to Orwell’s 1984. i read that book while i was already living here, and it just gave me goosebumps to think of all the similarities to orwell’s totalitarian society. Love this post. 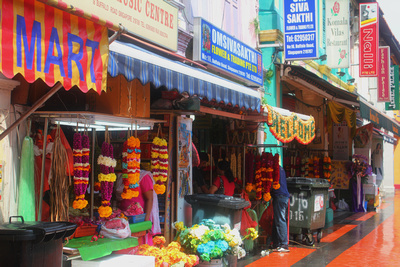 I am still fascinated by Singapore given my recent visits, and definitely enjoy everything it has to offer. I talk to Singaporean friends, and they pretty much say the same thing as you pointed out. Talk to Indonesian friends, many would happily visit but not live there, though a few have made Singapore their home, even gave up their Indonesian passport. Too rigid and too cold, and I’d happily agree with that. Oh, here’s a funny bit I notice – I was watching the Cash Cab Asia (hosted in Singapore), and I have to say the expats’ who got into the cabs, are the ones who are more entertaining compare to the locals :P.
It’s certainly a fascinating place. I could understand the lure of it if I wanted that sort of corporate life. Or rather a “safe” life. One with guarantees etc. If you don’t mind being watched all the time then it might suit somebody. One thing they do seem to have a handle on is political corruption. Public canning and imprisonment seems to scare politicians. Im a Singaporean and was researching on Nepal to Tibet overland information before bumping into your blog. I must say that it is quite impressive that you hit the nail on the spot about Singapore despite not being an expat living and experiencing the local culture in our midst. Just curious how many did you stay in this little red dot? I can not believe Singapore uses no natural resources, who would of knew! What a great way to keep a green city and plan for decades ahead. More countries should learn from Singapore’s effort to plunge society into the future and conserve resources. Singapore definitely sounds like a utopian place to live. I’ll have to make sure to visit there someday. Thanks for sharing about Singapore. Singapore does have natural resources! It’s just not using them at the moment. On the outside Singapore looks very eco friendly – that’s because they let others do their dirty business for them. Singapore does a lot right, but don’t mistake their utopia for what this well written article hints at. A false vision of perfection.